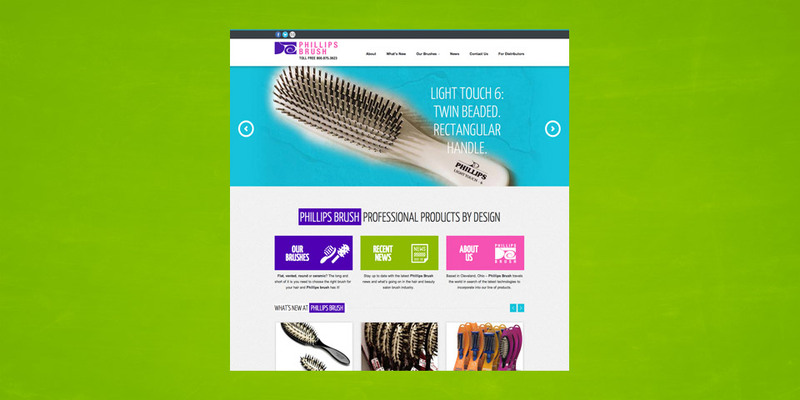 Long time client Phillips Brush decided it was time for Boom Creative to update their website that we had designed many years ago. Their new give the client compete access to updating and adding new products as well and is properly developed to work on all mobile devices. Phillips Brush is based in Cleveland, Ohio but they travel all over the world in search of the latest technologies to incorporate into our line of products. Their goal is to bring products to market that help make the job of the stylist faster and easier. They are dedicated to the professional and our 60 years of experience serving salons and stylists is a testament to their ability to provide the most innovative and highest quality products.